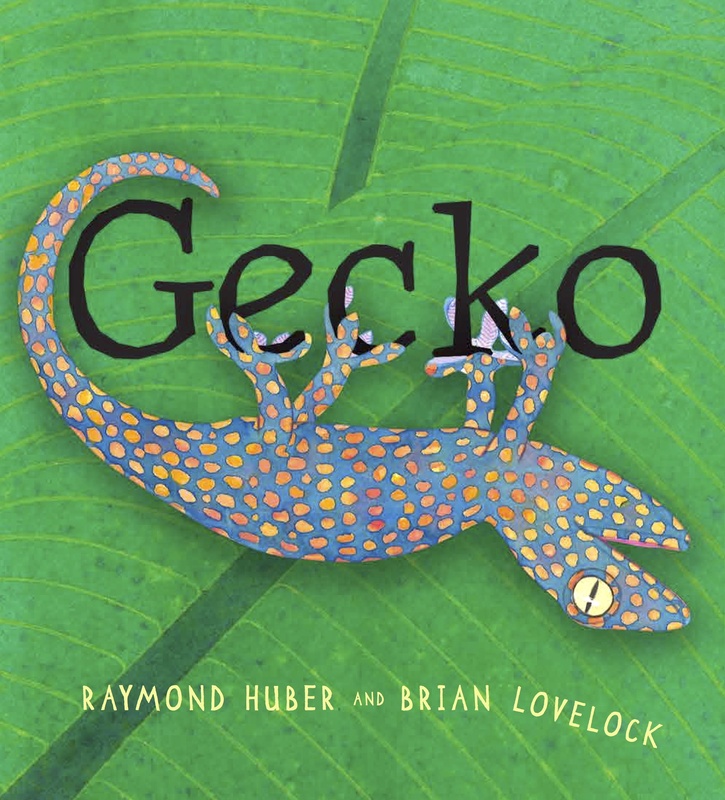 Gecko (buy here) is a picture book about day in the life of a gecko. 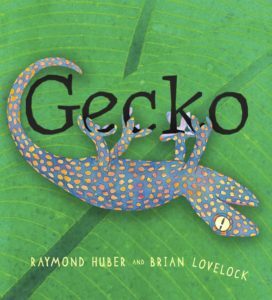 Journey from the cliff tops to the jungle as gecko hunts for food and is himself hunted by deadly predators. 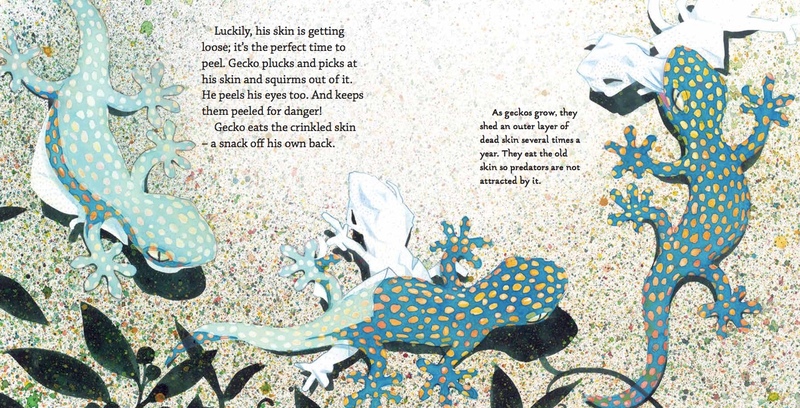 See Gecko shed his skin! Watch the amazing tail-trick! 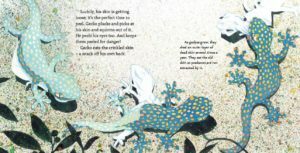 Geckos are the escape artists of the lizard world; outsmarting predators with disguises, deceptions and fast getaways.